LatinaLista — In California’s Central Valley, farming has deep roots. A third of all the produce — more than 230 different crops — grown in the United States are planted, nurtured and harvested in this region that receives nearly 300 days of sunshine — hot sunshine. For the farmworkers who labor in the heat, getting sunstroke or other illnesses due to the unrelenting exposure to the sun’s unforgiving rays, can be deadly. According to the Centers for Disease Control and Prevention, at least four US farmworkers die from the heat annually. It wasn’t until 2015 that California got more vigilant in protecting farmworkers from heat exposure but death from the heat remains a constant threat for farmworkers everywhere. Calor app creator Faith Florez and the graduate coding students at USC’s Viterbi School of Engineering. Yet according to one teen, it doesn’t have to be with today’s technology. High school senior Faith Florez knows how dangerous it is for farmworkers to work in the fields with little protection from the sun. A third-generation Central Valley Mexican-American, whose own great-grandparents arrived in the 1900s to harvest the crops, grew up hearing the story of how her great-grandmother died working in the fields. Seeing that apps can be used to monitor various health conditions, Florez thought why couldn’t there be a “heat stress protection app.” She proposed her idea to graduate coding students at USC’s Viterbi School of Engineering in 2016. 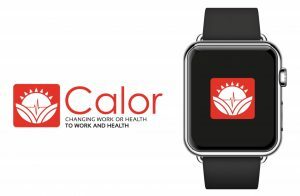 Their combined efforts have produced The Calor App. 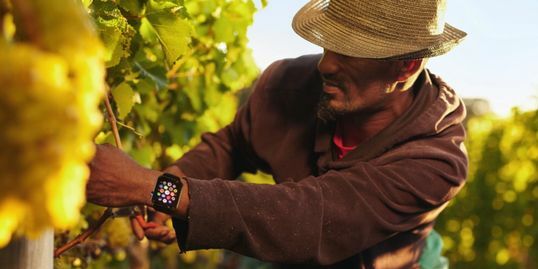 However, for the app to be effective, it means that all farmworkers must be wearing an Apple watch. 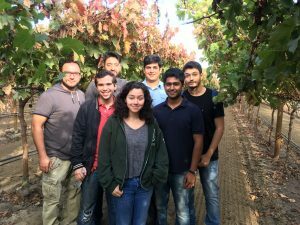 Florez and the student coders plan to run a pilot program where they already have commitment from farmers to provide their workers with a smart watch at the beginning of the harvest job, but the farmers have to pay for the watches. To help the farmers in the pilot program defray the costs, Florez created a fundraising campaign. Her hope is that once the pilot is completed and farmers understand how this technology cannot only help them to reduce heat illness, it will also help them to improve the health of their employees during a time when the farming industry is already seeing a shortage of workers.